UDM Downloads > EZ Backup Windows Live Mail Pro! EZ Backup Windows Live Mail Pro makes it easy to backup your Windows Live Mail contacts and mail to a local drive, network folder, CD/DVD and even to a remote FTP server! The application creates a self-restoring backup archive which includes a wizard interface that will guide you through restoring your data. 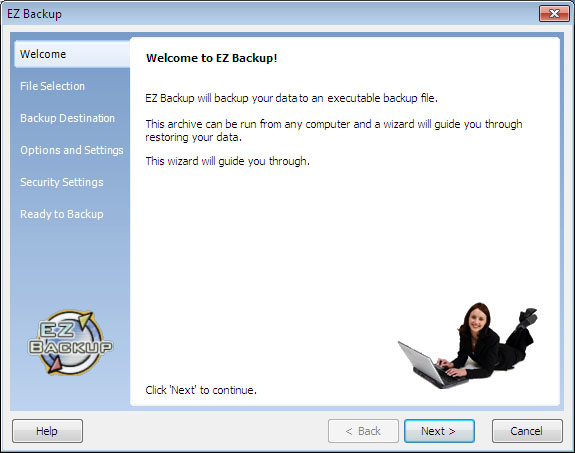 The trial version of EZ Backup will create up to 7 backups but the software must be purchased before your data can be restored.